CONVENIENT COMPACT DESIGN - The lightweight and small design can be brought along anywhere and isn't bulky to wear. Velcro strap allows for easy on and off. 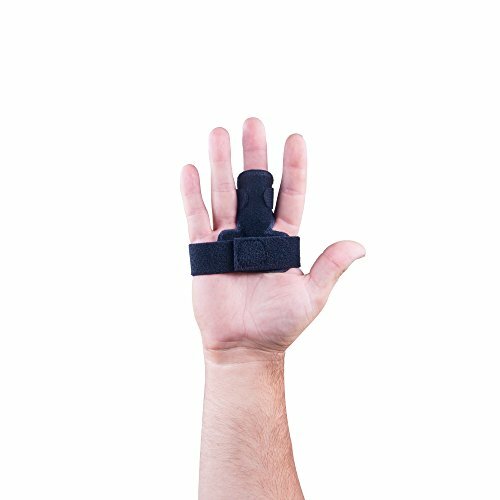 INNOVATIVE FOAM - We know how uncomfortable and itchy splinting can be, that's why our R&D team developed a highly breathable and gentle foam for the the skin. Comfortable to wear for long periods of time. CASH-BACK GUARANTEE - We struggle after 100% customer satisfaction always. That's why if you don't like our product we offer you Money Back Guarantee. No questions asked. If you have any questions about this product by MedicHelp, contact us by completing and submitting the form below. If you are looking for a specif part number, please include it with your message.